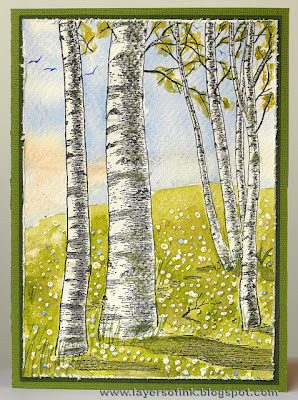 Our theme this month is Trees, Trees, Trees. So what does that mean, you ask? 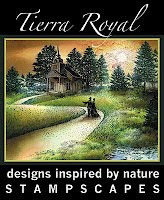 Well, we expect to see at least three trees stamped on your finished project. Here is an example of the kind of project we are looking for on this challenge site. We want to see a scene of course, but what is a qualifying scene? Your entry should have a stamped or digi image in the background and another in the foreground. So, let's have a look at what the design team came up with for this challenge. Look closely at how they construct their scenes with background and foreground images stamped or digi'd. Our fabulous sponsor this month is Sr. Stampalot. 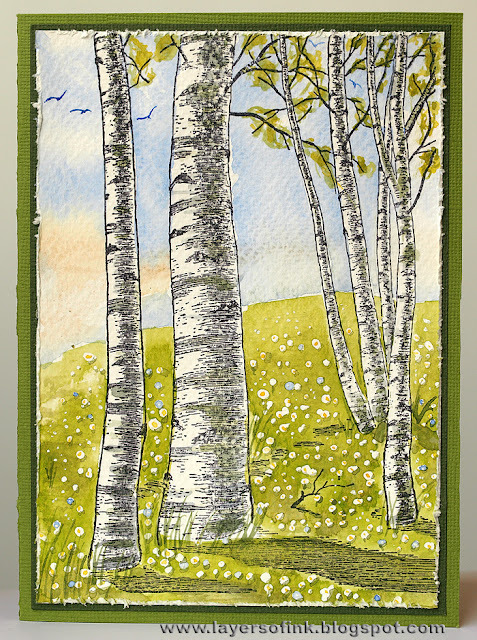 They have offered us a special wood mounted stamp to go along with our theme. Okay folks, now it is your turn to create a scene with at least three trees on it. 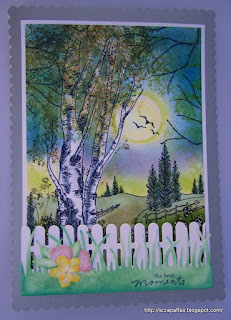 We are looking for stamped or digi scenes that are finished projects (no ATC's or unmounted work). 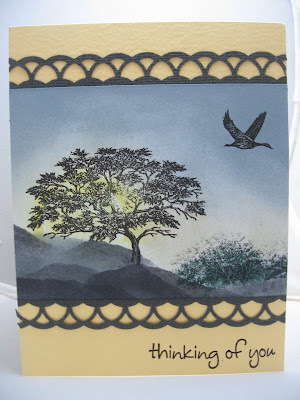 Fantastic cards Ladies, beautiful scenes with trees..thanks for the inspiration..
Beautiful cards, ladies. My favourite theme too! 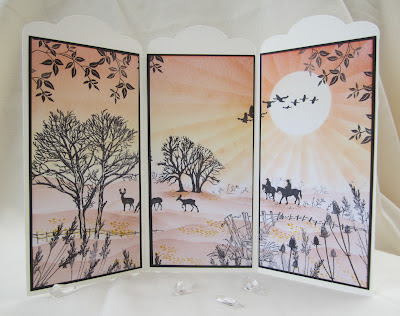 Beautiful cards for our inspiration again this month ladies, and another lovely challenge. also again I try to do with this theme. 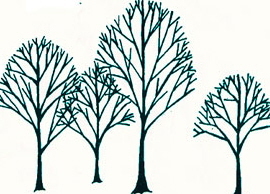 just a challenge for me to try some trees to draw. Enjoy your challenges. Beautiful projects by DT.